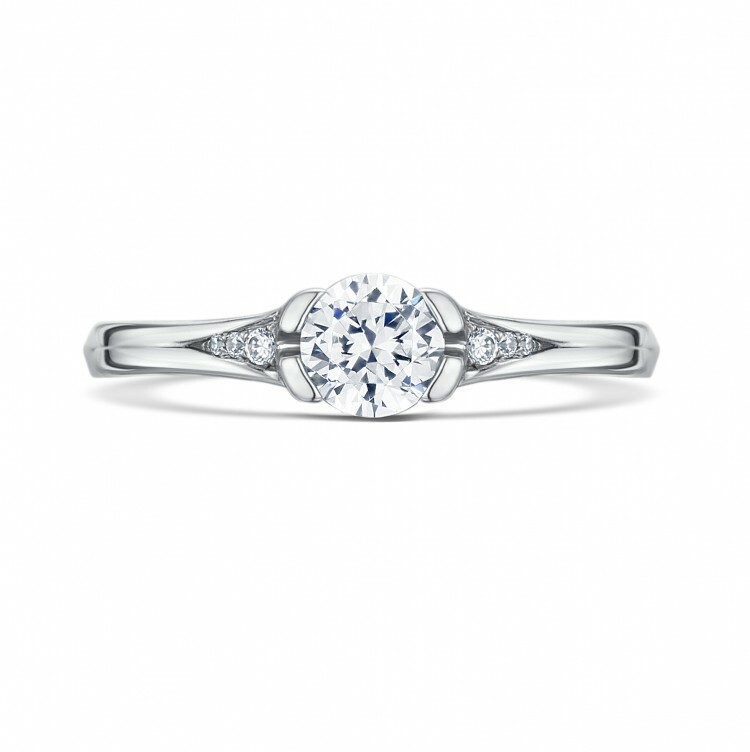 Round brilliant-cut solitaire engagement ring named after the Scottish island of Eorsa. 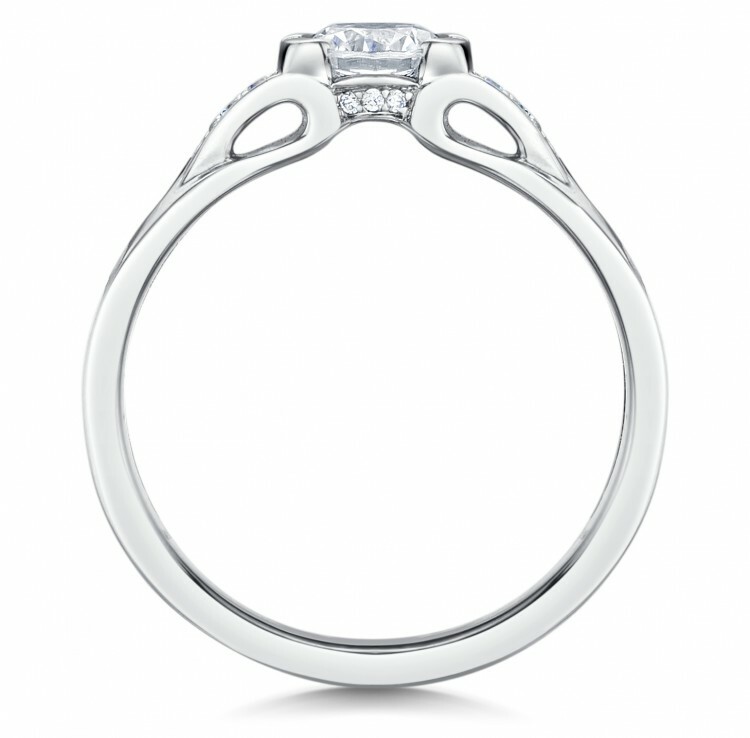 Graceful, low-set ring with open design that reveals the point (cutlet) of the gemstone. 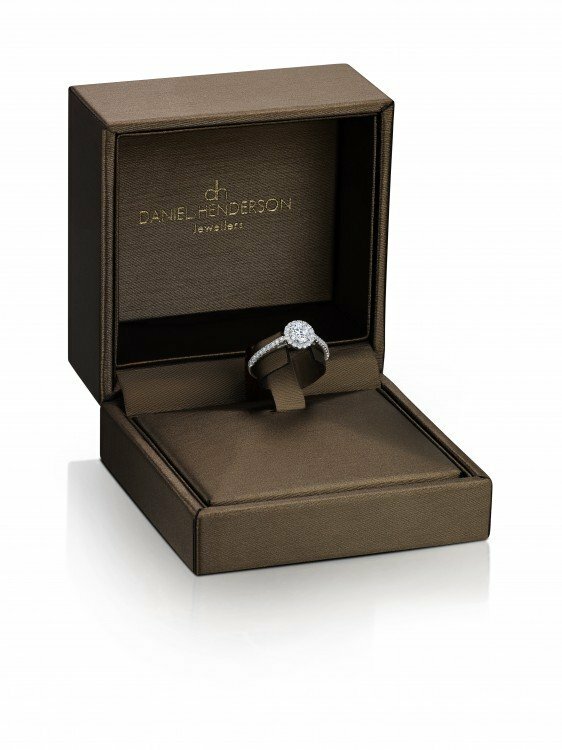 Ring is set with a 0.50ct G Si Graded centre stone and 0.06ct small diamonds set into the shoulders and bezel.